When Ed Leavens founded Leavens Motors in 1958, he didn’t know he was starting a family tradition. Now, with his son Chris as president and daughter Kelly as part of the team, Ed is proud of a family business that has been selling cars to happy customers for 60 years. In the car business, people tend to move around. At Leavens our clients get to know us – some of our employees have been with us for 20 to 30 years. Leavens Volkswagen is celebrating 60 years in business this spring. We want to thank our customers and our community for our success. It wouldn’t be possible to reach this milestone without your support. The team at Leavens Volkswagen are fully trained Volkswagen brand experts with one thing in mind: to help you make informed purchase decisions. Whether you’re in the market for a new or pre-owned vehicle, or require VW service or assistance in buying parts, we are here to help make your experience at Leavens Volkswagen a pleasurable one. We recognize that your expectations are increasing every day… and we’re up to the challenge of meeting those needs! 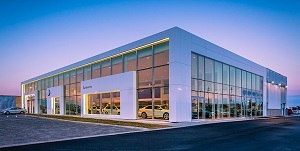 We look forward to providing you with a best-in-class sales and service experience and are prepared to go the distance to welcome you to the Volkswagen family.